In a 2009 interview with Oprah Winfrey, Michael Jackson had described how his father would tear them up with his belt if something goes wrong during rehearsals. Pop king Michael Jackson's voice needs no introduction. But it looks like his high-pitch voice had a dark secret. According to his doctor Conrad Murray, Michael's father Joe Jackson performed chemical castration on the pop star to maintain his tone. 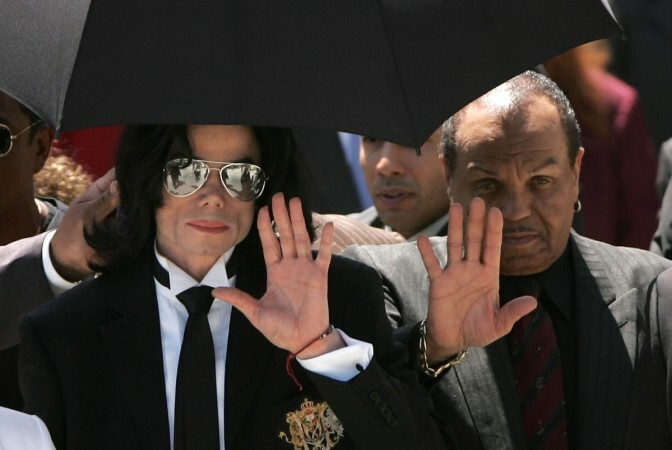 According to Mirror, Murray said, "Joe Jackson was one of the worst fathers to his children in history. The cruelty expressed by Michael that he experienced at the hand of his father. The fact that he was chemically castrated to maintain his high-pitched voice is beyond words." Interestingly, the doctor was convicted of involuntary manslaughter in Michael's death. He passed away at the age of 50 after a severe drug overdose. He used a lethal mix of propofol and other sedatives — some of which were administrated by Murray. This is not the first time that Murray is making such an allegation. In 2006, he had published a tell-all book called 'This Is It! The Secret Lives of Dr Conrad Murray and Michael Jackson' in which he narrated about Joe's obsession with MJ's voice. An excerpt from the book reads, "[Jackson] began talking vaguely, seeming to have more difficulty describing precisely what happened to him. But what Michael said left me the impression that he had been given injections, probably some hormones, to delay his puberty." The book also described how Joe would inject hormones to avoid deepening of MJ's voice. On many occasions, Michael had admitted about his abusive father. In a 2009 interview with Oprah Winfrey, he described how his father would tear them up with his belt if something goes wrong during rehearsals. However, he also added, "I love my father, but I don't know him. Sometimes I do get angry. I don't know him the way I'd like to know him. My mother's wonderful. To me, she's perfection. I just wish I could understand my father." Father of 10 children, Joe died of cancer last month.